Is it stalking if the man doesn't actually make any attempt to contact the object of his desires? 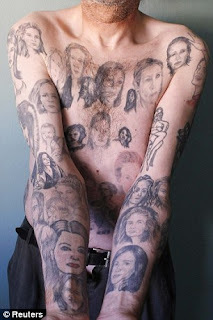 Regardless, what Miljenko Parserisas Bukovic has been doing over the last ten years is very creepy, and I'm sure, quite insane! 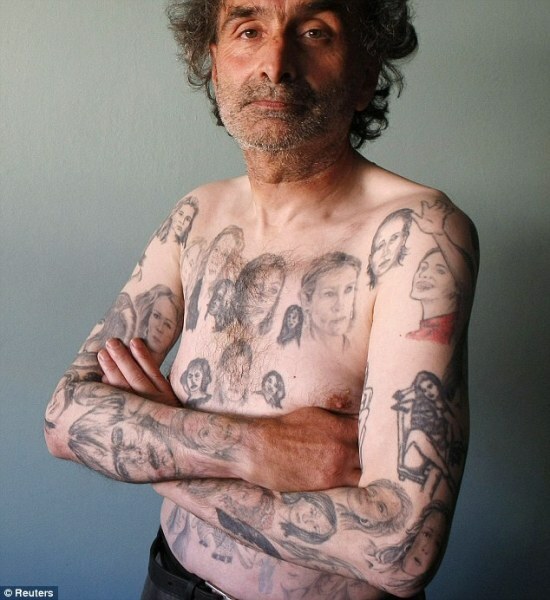 The newspaper seller from Chile has spent thousands of dollars over the past decade getting 82 separate portraits of Hollywood actress, Julia Roberts, permanently tattooed on his torso and arms. 56 year old Bukovic was first inspired after watching Julia's Oscar-winning performance in the movie classic, "Erin Brockovich"... All 82 tattoos are inspired by scenes in the film. 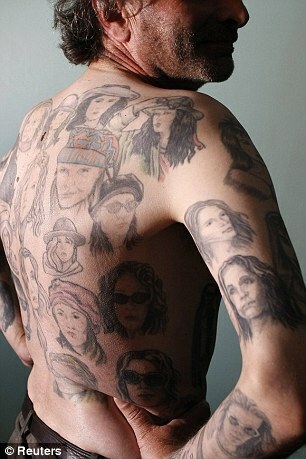 It doesn't stop here - Mr Bukovic plans to get more tattoos of Julia Roberts on his chest, back and arms... "as long as there is space and he has the money".